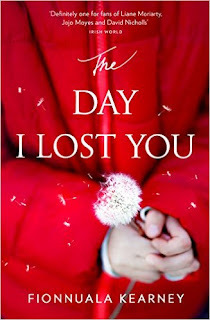 BleachHouseLibrary.ie: Book Review - "The Day I Lost You" by Fionnuala Kearney. Book Review - "The Day I Lost You" by Fionnuala Kearney. How well do we know our children? Even when they are living under our roof and spend the majority of their free time under our supervision? When they progress to adulthood can we presume they are still the same child within? When they tap away on their phones, tablets and laptops are they living the same life we see in front of us? What do they really think of us? When they become parents, do they feel the same way as we do toward them? 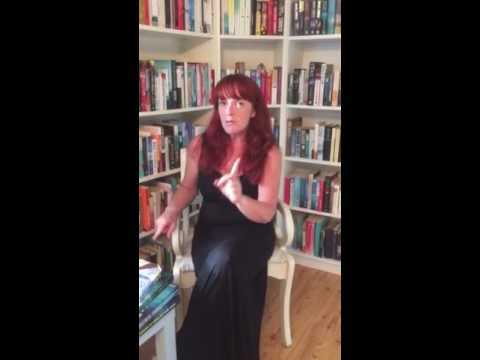 Fionnuala Kearney has addressed all of these questions through the eyes of three main protagonists. The reader can identify with the grieving mother who is now sole-carer for her young granddaughter, during her daughter's absence and who is trying to come to terms with the dramatic changes in her life. Then there is Theo, Jess's best friend, who is witness to the crumbling world that Jess inhabits. Also, we get a glimpse of Anna, and who she is, via excerpts from her private blog (along with reader comments). The unfolding story is one that leads Jess on a journey of confusion, deceit and despair. Emotions are a part of all of us. This novel examines a multitude of these; grief, fear, joy, heartache, uncertainty, love, hate and pain. A crossover between female fiction and psychological drama, the author brings us into the world of three generations affected by one natural disaster. While Jess is a mother and grandmother, she is also a woman who is alone. She has support of Theo and her sister, but still goes to bed alone at night. Her daughter's secrets are unfolding and she feels herself slipping into darkness. The pain of her situation is eased briefly by shots of vodka but the loss, combined with alcohol begins to consume her. Emotions are essential and she is not sure whether to surrender to their pull or mask them. With alternating chapters we get a glimpse of each character's thread and how they fit into the life, and disappearance, of Anna. The Day I Lost You is available in Trade Paperback and ebook format. You can order your copy, with Free Worldwide Postage and 13% discount, here. The ebook can be ordered via amazon link below. Such a beautiful cover, I love it. Great review, I'm definitely going to put this book on my wish list.